Fish is a delicious and healthy food which is also very popular. Fish farming has been around for thousands of years, and today, it’s one of the fastest growing industries around the world. 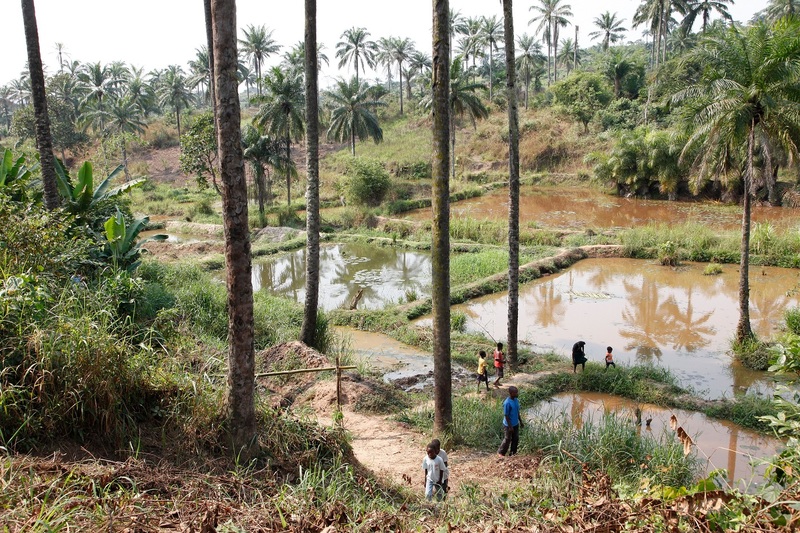 Fish farming is a main sources of protein and livelihood for many people around the world. Aquaculture – or fish farming – will provide close to two thirds of global consumption of fish by 2030 per a Press Release from The World Bank. Below are 5 more facts about fish farming that you ought to know. According to the NOAA data, Americans consumed a total of 4.8 billion pounds of seafood in 2009, which made the United States ranked as the third largest consumer of fish and shellfish behind China and Japan. 50% of all the seafood consumed by Americans was produced in Aquaculture or fish farms. Our oceans are already overfished and wild fish stocks in our oceans and in the fresh waters are decreasing rapidly. It was found in 2003 that the number of large fish, including tuna, marlin, swordfish, sharks, cod and halibut, in the world’s oceans had dropped by 90 percent in just 50 years. Aquaculture has helped nations with food insecurities to provide nutrition for more people. With the increase of global population and urbanization, per capita seafood consumption has also increased. As a result there is a constant increase in demand for seafood around the world. Aquaculture aims to meet the global seafood consumption, which reached 143 million metric tons in 2009. This was an increase of more than 20 million tons in 10 years. 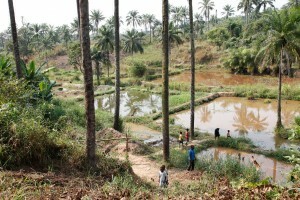 “Community fish-farming ponds in the rural town of Masi Manimba, DRC (7609946524)” by DFID – UK Department for International Development – Community fish-farming ponds in the rural town of Masi Manimba, DRCUploaded by russavia. Licensed under CC BY-SA 2.0 via Wikimedia Commons. 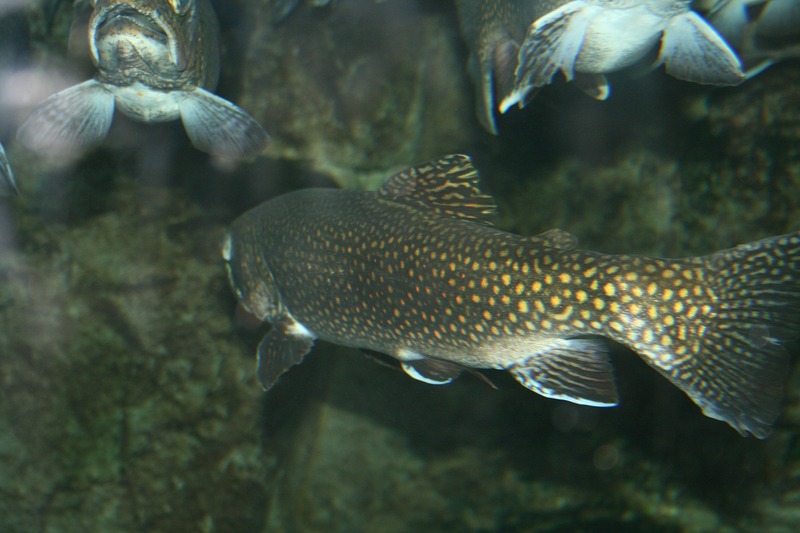 Some of the fish farms do not practice sustainable fish farming methods, and may cause damage to the surroundings. Even fish farms with little or no environmental impact could have a huge impact if there are several farms in the same area. Some fish farmers feed smaller wild caught fish to their carnivorous farmed fish. Some fish meal and fish oil based food are also made from wild caught fish. For the ten species of fish most commonly farmed, an average of nearly two pounds of wild fish is required for every pound of fish raised in the farm. The demand for seafood has risen several times in the recent years and our fish farmers can only meet 5-7% of the domestic seafood demands in the USA. Marine aquaculture supplies only about 1.5% of the seafood demands of the United States. The United States imports a huge number of fish [over 91% (by value) is imported from foreign countries] to meet the seafood demands, every year. Fish is a healthy and delicious source of protein and also a main source of income in many parts of the world. Aquaculture could play a major role in our economy as well. It could also help restore our wild fish stocks; just remember to practice aquaculture responsibly.